I'm having trouble activating the find phone feature on my S5. 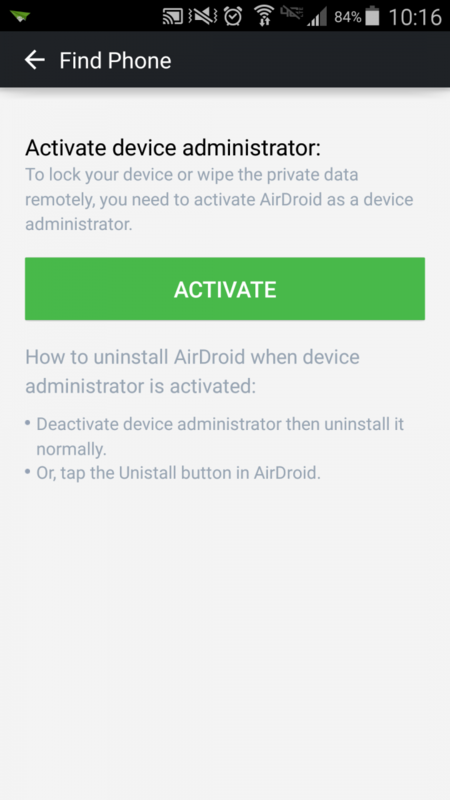 It tells me I need to allow airdroid as a device administrator but nothing happens. Every time I hit Activate, It brings me to the last screen I was on and just cycles between these two screens. Thoughts? Hi, I have the same problem. 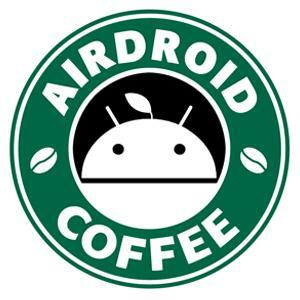 When I press the "Find Phone" button on my AirDroid opening screen, it takes me to a bar that says "turn on Now." When I do that, I'm sent to the "Activate device administrator" page, and a bar that says, "Activate." I press that and go to a page that lists all of the things that you can do if you activate the Find Phone procedure. At the bottom of the list there is the choice to "cancel" or "activate." 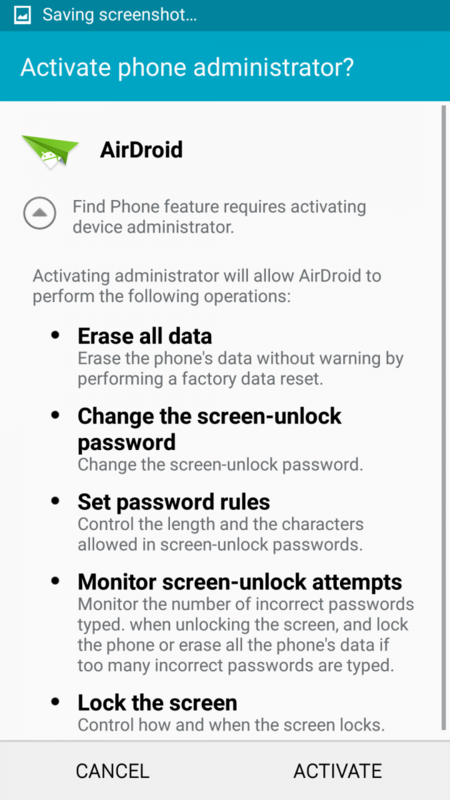 When I press "Activate," I'm taken back to the "Activate Device administrator" page, with the button that says "activate," which takes me to the list of things it can do and the "activate" button, which takes me back to the "Activate Device administrator" page, and so on. Never ending. This can't be right. On the other hand, I looked to see if my AirDroid app is installed on the SD card. What I discovered is that I THINK it might be, but I can't tell for sure. 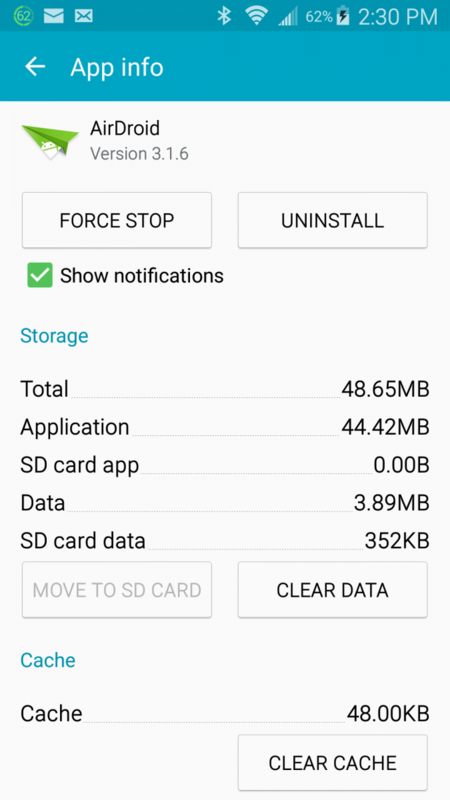 It isn't listed there in my list in the application manager, and in the App info page (of the application manager) it seems to be saying that the application is in the SD card, but not the data (see the screenshot), but in any case the button to move it from one to the other is greyed out to "Move to SD Card," so it can't be changed one way or the other. Any hints or tips or ideas?